A chatbot is built to perform basic and repetitive tasks that can streamline the day-to-day functioning of medical practice. Most of all, they assist with appointment scheduling. Think of medical chatbots as virtual assistants for your clinic, hospital, or healthcare center. Need help? Call us today! 5 ways doctors, dentist, and therapy offices can use chatbots to grow their patient count and streamline practice operations. Let’s get a real doc! There are entirely too many patient experiences that could be improved. Add this to practice geographic saturation, particularly in the dental and oral care field, and you’re looking for a serious oversupply of medical and dental offices. The result — doc you’d better upgrade your patient experience to earn patient loyalty and recurring business. According to the American Dental Hygienists’ Association that approximately 6,700 dental hygienists graduate annually. Add that number to the more than 5,000 new dentists coming into the field each year and you have a lot of people to fill not nearly as many jobs… In many markets, there are more dentists and dental hygienists than the market requires. The problem, one expert says, is partly due to a growth of dental schools in markets that are already over-served. With the improvements in technology and consumer technification (did I just make that word up? ), patients are expecting your practice to stay sharp on tech. They expect you to serve them with the seamless experience they have come to love from Amazon and Google and design thinking like Apple and Samsung. Should you not, they are just a few steps away from the next MD, DMD, or other lettered suffix medical professional who can count them in their direction. Below are 5 steps your practice can take to improve your patient experience, drive efficiencies in your practice, and increase your patient count. More people are willing to buy, interact, like, help, recommend you when you give them something before asking them to do something. And moreover, the psychology behind this is not much tied to the value of the gift, rather, because something positive happened to the recipient than nothing at all. With a properly executed lead magnet, as the name suggests, you will be attracting your customers with a timely, relevant, and valued gift such as a free cleaning, assessment, or anything else that is valuable and low cost to provide. 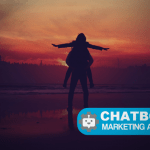 Connect your chatbot to the action you are asking your prospective new patients to take. Immediately engage with the leads via the chatbot and ultimately optimize the conversion and upsell. Easily done, too often poorly executed. Don’t 100% rely on your automated phone tree to inform your customers or future customers where they can locate your offices or call to schedule an appointment. I can just imagine the person, setting up their phone calls for the day, trying to keep a consistent and happy experience as he or she drudges away at the call checklist. There must be another, more effective, way to get this done AND produce more confirmed appointment shows or in-advanced reschedules…. With a simple few clicks and connections, you can enable your patient to book, reschedule, or cancel (hopefully not) their appointment seamlessly updating your systems and calendars without the need of a phone call or human interference. This one is tricky. Make sure you are following with all the compliance requirements your state, local, and federal governments require of you and your practice. However…. that’s not to say that you cannot save smarter and more usable information about your clients than simply their name, dob, and address (although those are important too). With chatbots, you could create a customer profile much richer and complex which helps deepen your patient experience beyond check-ups and a strict “tell me where it hurts” relationship. Share with your patient relevant content, such as new articles on how to keep your kids healthy, or cleaning without chemicals (use vinegar 😉), or new information about saving for college. 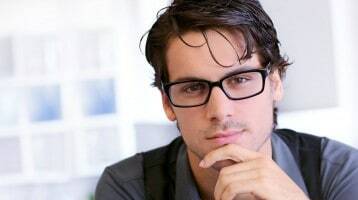 You have these topics in the variety of magazines in your patient waiting lobby already, why not have more reason to connect with your patients in their daily lives and gain share of mind. 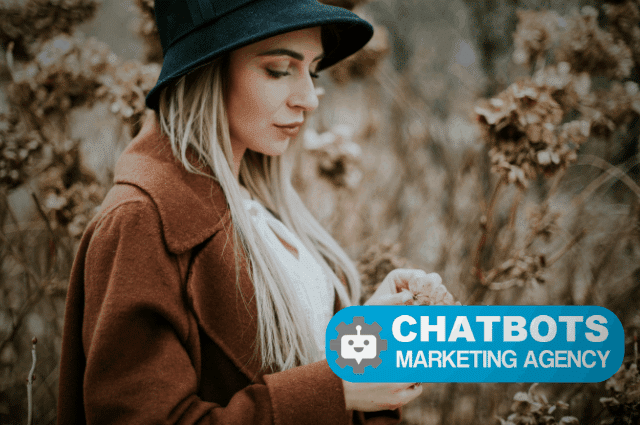 Using chatbots, not only can you set up an automated and programmed way to push this content, but you can also have your patients tell you what they are interested in and cater to their experience. This creates a profile that your office owns for its loyalty marketing. Maybe they like sports info, maybe they like home remedies, maybe they are studying to be in the medical field themselves. All of these are “layers of information” when woven with your patient system, provide a robust picture to your patient. Done properly, this can drive a happier experience to their next visit than simply a cold, transactional health experience. No, let’s get more juice out of that lead magnet you made on #1 or time taken to garner deeper insights into your patient on #4. People don’t want more stuff/papers, and more times than not will elect the electronic option. Note: this is another opt-in moment to capture another subscriber to your chatbot if they weren’t already. With this new subscriber, ask them to give you a rating via the chatbot of their experience. Use this moment to capture critical feedback to improve your practice, storing this data on your systems automatically. Then if the feedback was good, route the user to Google or another global feedback forum should their feedback be positive. 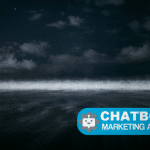 There are many other ways to get the most ROI out of your chatbot and digital marketing. The sky’s really the limit and this new technology is expanding in use cases and applications by the week. If this all sounds outer space 👽, no worries. We are here to help you transform your practice to the digital era, no matter if you are a 🔨Flintstones or 🚀Jetsons medical practice. Grow your practice patient count today! Schedule for a FREE consultation with us today click here to book a time that works for you. Also, you can find us on Facebook or our site.